Today, I am bringing you a guest post from my friend, Lance Godard! Lance has spent three decades within the legal profession, in-house and as a consultant, helping lawyers and practice groups grow their book of business. He’s the founder of The Godard Group, a marketing communications firm for lawyers and firms. 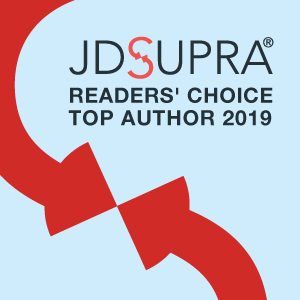 You can check out more of his great advice at JD Supra as well. In this post, Lance shares with us some important suggestions for how law firm websites can better connect with clients, and since our sites are one of the primary ways we show our “face” to the world, this is some important advice! They speak directly to their target audience. There’s a reason so many law firm websites are filled with generic, bland, marketing content: it’s easy to write. But generic and bland practice descriptions don’t make an impact with your targets. What does is writing that responds to the concerns and challenges of the people from whom you are trying to get work, like the General Counsel at a publicly held company or the entrepreneur who just launched a start-up or the human resources manager struggling to balance the needs of the company with the regulations of his jurisdiction. Write marketing content that speaks directly to the people you’re trying to reach, that tells them exactly how you can help them solve the problems you know they face. They make their content relevant. Clients and prospects go to your website for a reason. They want to know if you can help them with the challenges they are facing: fighting off a patent infringement lawsuit, responding to an employee complaint, structuring a real estate transaction. They’re looking for answers, not the places your team went to law school or the awards they’ve won or the size of your firm. Their questions are really about them, not about Make your content relevant to those readers by writing it from their perspective. After all, they’re the ones whose problems you know how to solve. They write like people talk. Most people – maybe even most lawyers – don’t use arcane legal terms in every-day conversations. Of course you need to include important keywords on your website, both for SEO and to reassure readers, but you don’t need to write using jargon and obscure terminology. Your goal is to connect with people, to get them to read your practice descriptions and attorney biographies, to communicate what you do and why it is important to clients and prospects. To do that, write in language that anyone can understand. They avoid lists. You can’t possibly name every single accomplishment, every award, every client, every matter. Nor would you want to: long lists of anything tend to be boring, and nobody – not even your grandmother – will read the list of years you’ve been named in SuperLawyers or that of each company you’ve ever represented or the one naming the 50 different industries you’ve done work in. The goal of the marketing content on your website is not to provide an exhaustive record of your skills and experience, but to spark interest, to make you credible, to get people to answer the phone when you call or maybe even dial your number when they need help. You don’t need a list to do that. They tell a good story. Whether it’s Dostoyevsky or the descriptive materials on your website, people can’t resist a good story. The good news is that you have plenty to tell. Maybe you helped a public company fend off a frivolous class-action lawsuit. Maybe you counseled a struggling inventor seeking to monetize her intellectual property and build her own business. Maybe you represented a victim of age discrimination by his employer. Tell stories that demonstrate the benefits you bring to your clients, and new ones will be eager to find out more.